"StankoMashStroy" successfully fulfilled the plan to increase the production of metalworking equipment in 2018. The company produced 252 lathes that is 25% more than in 2017. The production of CNC lathes CT 16А25 series increased three times. Company produced 32 units of equipment of various modifications. This type of lathes is still one of the most profitable offers on the market in terms of price and quality. In 2018, StankoMashStroy reached the full estimated capacity in serial production of new types of components - chucks of two diameters, taper attachments, carriage sets, tailstocks, steady and follow rests for all types of machines. 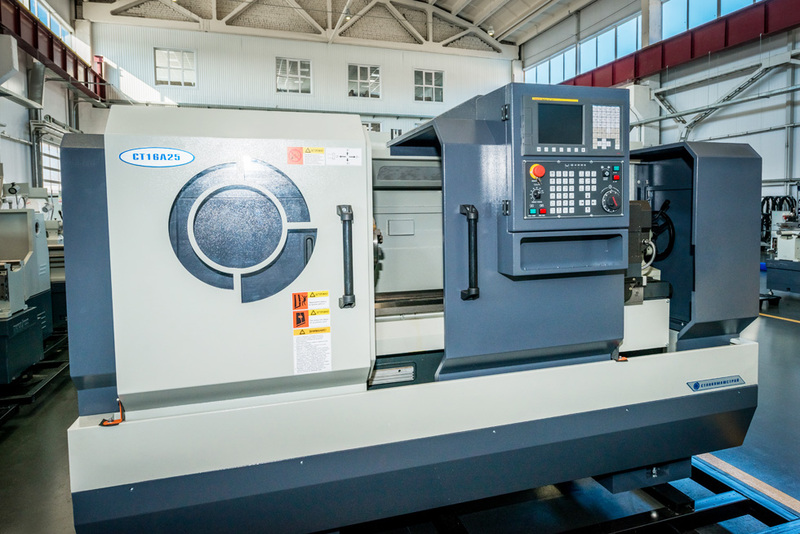 In addition, they improved the design of universal threading lathes that sufficiently increased the quality and accuracy of metalworking equipment. Export sales increased by 10.5%. Company exported 28 units of turning equipment in 2018. The market for finished products of own production expanded as well. For the first time, StankoMashStroy concluded the contracts with industrial enterprises from Hungary and Italy. Another one last year achievement is the start of construction of a new workshop as a part of an investment project of mass production of metalworking machine tools. The total investment will be more than 800 million rubles. The launch of a new workshop will take place in the upcoming year.